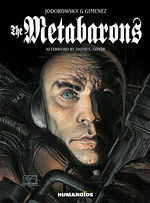 A grand scale space opera about family, sacrifice, and survival told within an immense universe, both in scope and originality. 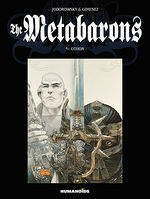 A must-read cult spin-off of "The Incal," by Moebius and Jodorowsky, centering around the fascinating lineage of the ultimate warrior. 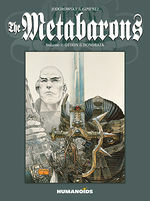 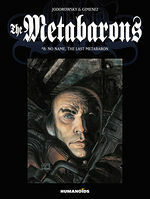 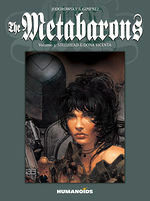 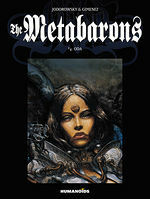 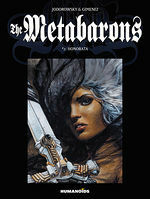 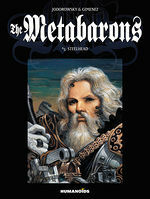 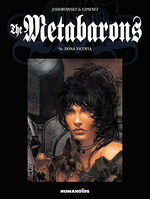 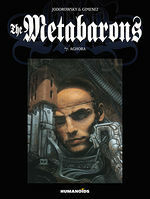 This collection introduces the Metabaron’s bloodline and reveals the origins of their deep-seated principles. 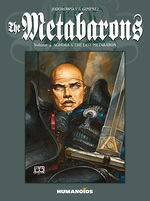 Find out the source of the family’s vast wealth, learn why every Metabaron has cybernetic implants, and why the only way to become the next Metabaron is for him to defeat his own father in a mortal combat. 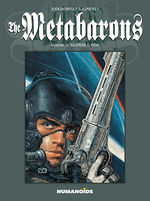 Follow each successive generation as it struggles to overcome the forces amassed against it in a galaxy corrupted by greed, power, and terror. 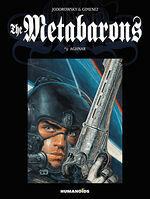 A true classic in the pantheon of graphic storytelling and Science Fiction as a whole.